The Beslan school siege (also referred to as the Beslan school hostage crisis or Beslan massacre) started on 1 September 2004, lasted three days, involved the capture of over 1,100 people as hostages (including 777 children), and ended with the death of at least 385 people. The crisis began when a group of armed Islamic Groups, mostly Ingush and Chechen, occupied School Number One (SNO) in the town of Beslan, North Ossetia (an autonomous republic in the North Caucasus region of the Russian Federation) on 1 September 2004. The hostage-takers were the Riyadus-Salikhin Battalion, sent by the Chechen warlord Shamil Basayev, who demanded recognition of the independence of Chechnya, and Russian withdrawal from Chechnya. On the third day of the standoff, Russian security forces stormed the building with the use of tanks, incendiary rockets and other heavy weapons. At least 330 hostages were killed, including 186 children, with a significant number of people injured and reported missing. The event led to security and political repercussions in Russia; most notably, it contributed to a series of federal government reforms consolidating power in the Kremlin and strengthening of the powers of the President of Russia. As of 2016, aspects of the crisis in relation to the militants continue to be contentious: questions remain regarding how many terrorists were involved, the nature of their preparations and whether a section of the group had escaped. Questions about the Russian government's management of the crisis have also persisted, including allegations of disinformation and censorship in news media, whether the journalists who were present at Beslan were allowed to freely report on the crisis, the nature and content of negotiations with the terrorists, allocation of responsibility for the eventual outcome, and perceptions that excessive force was used. 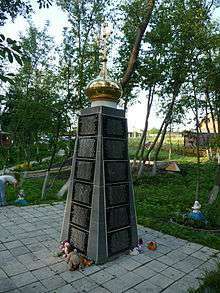 It was also reported that the SNO in Beslan was used by Ossetian nationalist militia forces as an internment camp for ethnic Ingush civilians in late 1992 during the short but bloody Ingush–Ossetian East Prigorodny conflict, in which hundreds of Ingush residents of North Ossetia lost their lives or disappeared during the week-long hostilities, and thus the school was arguably chosen as the target of the attack by the mostly Ingush rebel group because of this connection. According to media reports, SNO was one of several buildings in which the Ossetian militants had held hundreds of Ingush hostages, many of them women and children. The hostages were all kept in the same gymnasium and were deprived of food and water; at least one newborn and several dozen male hostages were executed. Beslan was also the site of an airfield used by the Russian Air Force for combat operations in Chechnya since 1994. The attack on the school took place in 2004 on 1 September—the traditional start of the Russian school year, referred to as "First Bell" or Knowledge Day. On this day, the children, accompanied by their parents and other relatives, attend ceremonies hosted by their school. Because of the Knowledge Day festivities, the number of people in the schools was considerably higher than on a normal school day. 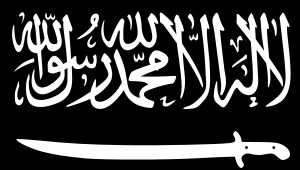 Early in the morning, a group of several dozen heavily armed Islamic-nationalist guerrillas left a forest encampment located in the vicinity of the village of Psedakh in the neighbouring republic of Ingushetia, east of North Ossetia and west of war-torn Chechnya. The terrorists wore green military camouflage and black balaclava masks, and in some cases were also wearing explosive belts and explosive underwear. On the way to Beslan, on a country road near the North Ossetian village of Khurikau, they captured an Ingush police officer, Major Sultan Gurazhev. Gurazhev escaped after reaching the town and went to the district police department to inform them that his duty handgun and badge were taken away. At 09:11 local time, the terrorists arrived at Beslan in a GAZelle police van and a GAZ-66 military truck. Many witnesses and independent experts claim that there were, in fact, two groups of attackers, and that the first group was already at the school when the second group arrived by truck. At first, some at the school mistook the guerrillas for Russian special forces practicing a security drill. However, the attackers soon began shooting in the air and forcing everybody from the school grounds into the building. During the initial chaos, up to 50 people managed to flee and alert authorities to the situation. A number of people also managed to hide in the boiler room. After an exchange of gunfire against the police and an armed local civilian, in which reportedly one attacker was killed and two were wounded, the militants seized the school building. Reports of the death toll from this shoot-out ranged from two to eight people, while more than a dozen people were injured. 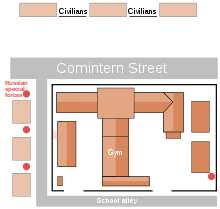 After gathering the hostages in the gym, the attackers singled out 15–20 of whom they thought were the strongest adults among the male teachers, school employees, and fathers, and took them into a corridor next to the cafeteria on the second floor, where a deadly blast soon took place. An explosive belt on one of the female bombers detonated, killing another female bomber (it was also claimed the second woman died from a bullet wound) and several of the selected hostages, as well as mortally injuring one male hostage-taker. According to the version presented by the surviving hostage-taker, the blast was actually triggered by the "Polkovnik" (the group leader); he set off the bomb by remote control to kill those who openly disagreed about the child hostages and intimidate other possible dissenters. The hostages from this group who were still alive were then ordered to lie down and shot with an automatic rifle by another gunman; all but one of them were killed. Karen Mdinaradze, the Alania football team's cameraman, survived the explosion as well as the shooting; when discovered to be still alive, he was allowed to return to the sports hall, where he lost consciousness. The militants then forced other hostages to throw the bodies out of the building and to wash the blood off the floor. One of these hostages, Aslan Kudzayev, escaped by jumping out the window; the authorities briefly detained him as a suspected hostage-taker. A security cordon was soon established around the school, consisting of the Russian police (militsiya), Internal Troops, and Russian Army forces; spetsnaz, including the elite Alpha and Vega units of the Russian Federal Security Service (FSB); and the OMON special units of the Russian Ministry of Internal Affairs (MVD). A line of three apartment buildings facing the school gym was evacuated and taken over by the special forces. The perimeter they made was within 225 metres (738 ft) of the school, inside the range of the militants' grenade launchers. No fire-fighting equipment was in position and, despite the previous experiences of the 2002 Moscow theater hostage crisis, there were few ambulances ready. The chaos was worsened by the presence of Ossetian volunteer militiamen (opolchentsy) and armed civilians among the crowds of relatives who had gathered at the scene; there were perhaps as many as 5,000 of them. On 2 September 2004, negotiations between Roshal and the hostage-takers proved unsuccessful, and they refused to allow food, water, or medicine to be taken in for the hostages, or for the dead bodies to be removed from the front of the school. At noon, FSB First Deputy Director, Colonel General Vladimir Pronichev showed Dzasokhov a decree signed by Prime Minister Mikhail Fradkov appointing North Ossetian FSB chief Major General Valery Andreyev as head of the operational headquarters. In April 2005, however, a Moscow News journalist received photocopies of the interview protocols of Dzasokhov and Andreyev by investigators, revealing that two headquarters had been formed in Beslan: a formal one, upon which was laid all responsibility, and a secret one ("heavies"), which made the real decisions, and at which Andreyev had never been in charge. In the afternoon, the gunmen allowed Ruslan Aushev, respected ex-President of Ingushetia and retired Soviet Army general, to enter the school building and agreed to release 11 nursing women and all 15 babies personally to him. The women's older children were left behind and one mother refused to leave, so Aushev carried out her child instead. The rebels gave Aushev a video tape made in the school and a note with demands from their purported leader, Shamil Basayev, who was not himself present in Beslan. The existence of the note was kept secret by the Russian authorities, while the tape was declared as being empty (which was later proved incorrect). It was falsely announced that the hostage-takers made no demands. In the note, Basayev demanded recognition of a "formal independence for Chechnya" in the frame of the Commonwealth of Independent States. He also said that although the Chechen separatists "had played no part" in the Russian apartment bombings of 1999, they would now publicly take responsibility for them if needed. Some Russian officials and state-controlled media later attacked Aushev for entering the school, accusing him of colluding with the hostage-takers. At around 15:30, two grenades were detonated approximately ten minutes apart by the militants at security forces outside the school, setting a police car on fire and injuring one officer, but Russian forces did not return fire. As the day and night wore on, the combination of stress and sleep deprivation—and possibly drug withdrawal—made the hostage-takers increasingly hysterical and unpredictable. The crying of the children irritated them, and on several occasions crying children and their mothers were threatened with being shot if they would not stop crying. Russian authorities claimed that the hostage-takers had "listened to German heavy metal group Rammstein on personal stereos during the siege to keep themselves edgy and fired up" (Rammstein had previously come under fire following the Columbine High School massacre, and again in 2007 after the Jokela High School shooting). Early on the third day, Ruslan Aushev, Alexander Dzasokhov, Taymuraz Mansurov (North Ossetia's Parliament Chairman), and First Deputy Chairman Izrail Totoonti together made contact with President of the Chechen Republic of Ichkeria, Aslan Maskhadov. Totoonti said that both Maskhadov and his Western-based emissary Akhmed Zakayev declared they were ready to fly to Beslan to negotiate with the militants, which was later confirmed by Zakayev. Totoonti said that Maskhadov's sole demand was his unhindered passage to the school; however, the assault began one hour after the agreement on his arrival was made. He also mentioned that journalists from Al Jazeera television offered for three days to participate in the negotiations and enter the school even as hostages, "but their services were not needed by anyone." Around 13:00 on 3 September 2004, it was agreed to allow four Ministry of Emergency Situations medical workers in two ambulances to remove 20 bodies from the school grounds, as well as to bring the corpse of the killed terrorist to the school. However, at 13:03, when the paramedics approached the school, an explosion was heard from the gymnasium. The hostage-takers then opened fire on them, killing two. The other two took cover behind their vehicle. Most evidence points towards a theory presented in August 2006 by State Duma member Yuri Savelyev, a weapons and explosives expert. Savelyev claimed that the exchange of gunfire was not begun by explosions within the school building but by two shots fired from outside the school and that most of the home-made explosive devices installed by the rebels did not explode at all. He says the first shot was fired most likely from an RPO-A Shmel infantry rocket located at the roof of nearby five-story House No. 37 in School Lane and aimed at the gymnasium's attic, while the second one fired from an RPG-27 grenade launcher located at the House No. 41 on the same street, destroying a fragment of the gym wall (empty shells and launchers supporting this theory were found at roofs of these houses and alternative weapons mentioned in the report were RPG-26 or RPG-7 rocket-propelled grenades). Savelyev, a dissenting member of the federal Torshin commission (see below for the findings of Torshin), claims these explosions killed many of the hostages and that dozens more died in the resulting fire. Yuri Ivanov, another parliamentary investigator, further contended that the grenades were fired on the direct orders of President Putin. Several witnesses during the trial of Kulayev previously testified that the initial explosions were caused by projectiles fired from outside. Theory voiced, among others, by Aslambek Aslakhanov and Ruslan Aushev claims that the cause of the firing and the subsequent storming of the school had been an accidental explosion. According to the early official version, one of the bombs had been insecurely attached with adhesive tape, falling and then exploding. However, no one is reported to have seen this happen. Aushev said that an initial explosion was set off by a hostage-taker accidentally tripping over a wire. As a result, armed civilians, some of them apparently fathers of the hostages, started shooting. Aushev said no security forces or captors were shooting at this point, but the gunfire led the militants to believe that the school was being stormed. In a similar version, Igor Senin, president of the association of Alfa veterans, said that somebody in the school building set off a hand grenade, probably by accident, after which the militants decided they were being attacked and opened fire. According to the December 2005 report by Stanislav Kesayev, deputy speaker of North Ossetian parliament, some witnesses said a federal forces sniper shot a militant whose foot was on a dead man's switch detonator, triggering the first blast. The captured hostage-taker, Nur-Pashi Kulayev, has testified to this, while a local policewoman and hostage named Fatima Dudiyeva said she was shot in the hand "from outside" just before the explosion. Kesayev's commission actually rejected the sniper shot theory, and said there were three blasts: two small explosions at 13:03, followed by the big one at 13:29. According to military prosecutor, a BTR armoured vehicle drove close to the school and opened fire from its 14.5×114mm KPV heavy machine gun at the windows on the second floor. Eyewitnesses (among them Totoonti and Kesayev) and journalists saw two T-72 tanks advance on the school that afternoon, at least one of which fired its 125 mm main gun several times. During the later trial, tank commander Viktor Kindeyev testified to having fired "one blank shot and six antipersonnel-high explosive shells" on orders from the FSB. The use of tanks and armoured personnel carriers was eventually admitted to by Lieutenant General Viktor Sobolev, commander of the 58th Army. Another witness cited in the Kesayev report claims that he had jumped onto the turret of a tank in an attempt to prevent it from firing on the school. Scores of hostages were moved by the militants from the burning sports hall into the other parts of the school, in particular the cafeteria, where they were forced to stand at windows. Many of them were shot by troops outside as they were used as human shields, according to the survivors (such as Kudzeyeva, Kusrayeva and Naldikoyeva). Savelyev estimated that 106 to 110 hostages died after being moved to the cafeteria. Firefighters, who were called by Andreyev two hours after the fire started, were not prepared to battle the blaze that raged in the gymnasium. One fire truck crew arrived after two hours at their own initiative but with only 200 litres of water and unable to connect to the nearby hydrants. The first water came at 15:28, nearly two and a half hours after the start of the fire; the second fire engine arrived at 15:43. Few ambulances were available to transport the hundreds of injured victims, who were mostly driven to hospital in private cars. One suspected militant was lynched on the scene by a mob of civilians, an event filmed by the Sky News crew, while an unarmed militant was captured alive by the OMON troops while trying to hide under their truck (he was later identified as Nur-Pashi Kulayev). Some of the dead insurgents appeared to be mutilated by the commandos. In addition, Vladimir Putin signed a law which replaced the direct election of the heads of the federal subjects of Russia with a system whereby they are proposed by the President of Russia and approved or disapproved by the elected legislative bodies of the federal subjects. The election system for the Russian parliament was also repeatedly amended, eliminating the election of State Duma members by single-mandate districts. The Kremlin consolidated its control over the Russian media and increasingly attacked the non-governmental organizations (especially those foreign-founded). The raid on Beslan had more to do with the Ingush involved than the Chechens, but was highly symbolic for both nations. The Ossetes and Ingush had (and have) a conflict over ownership of the Prigorodny District, which hit high points during the 1944 Stalinist purges, and the ethnic cleansing of Ingush by Ossetes (the Ossetes getting assistance from the Russian military) in 1992-3. At the time of the raid, there were still over 40,000 Ingush refugees in tent camps in Ingushetia and Chechnya. The Beslan school itself had been used against the Ingush, as in 1992 the gym was used as a pen to round up Ingush during the ethnic cleansing by the Ossetes. For the Chechens, the motive was revenge for the destruction of their homes and, indeed families: Beslan was one of the sites from which federal air raids were launched at Chechnya. Initially, at least 396 people, mostly hostages, were reportedly killed during the crisis. By 7 September 2004, Russian officials revised the death toll to 334, including 186 children, although close to 200 people remained missing or unidentified. It was claimed by the locals that over 200 of those killed were found with burns, and 100 or more of them were burned alive. The last reported fatality was 33-year-old librarian Yelena Avdonina, who succumbed to her wounds on 8 December 2006. Russia's Minister of Health and Social Reform Mikhail Zurabov said the total number of people who were injured in the crisis exceeded 1,200. The exact number of people who received ambulatory assistance immediately after the crisis is not known, but is estimated to be around 700 (753 according to the UN). Moscow-based military analyst Pavel Felgenhauer concluded on 7 September 2004 that 90% of the surviving hostages had sustained injuries. At least 437 people, including 221 children, were hospitalized; 197 children were taken to the Children’s Republican Clinical Hospital in the North Ossetian capital of Vladikavkaz, and 30 were in cardiopulmonary resuscitation units in critical condition. Another 150 people were transferred to the Vladikavkaz Emergency Hospital. Sixty-two people, including 12 children, were treated in two local hospitals in Beslan, while 6 children with severe injuries were flown to Moscow for specialist treatment. The majority of the children were treated for burns, gunshot injuries, shrapnel wounds, and mutilation caused by explosions. Some had to have limbs amputated and eyes removed and many children were permanently disabled. One month after the attack, 240 people (160 of them children) were still being treated in hospitals in Vladikavkaz and in Beslan. Surviving children and parents have received psychological treatment at Vladikavkaz Rehabilitation Centre. One of the hostages, a physical education teacher called Yanis Kanidis (a Caucasus Greek, originally from Georgia) who was killed in the siege saved the lives of many children. One of the new schools built in Beslan was subsequently named in his honour. It is not known how many members of Russia's elite special forces died in the fighting, as official figures ranged from 11 through 12 and 16 (7 Alpha and 9 Vega) to more than 20 killed. There are only 10 names on the special forces monument in Beslan. The fatalities included all three commanders of the assault group: Colonel Oleg Ilyin, Lieutenant Colonel Dmitry Razumovsky of Vega, and Major Alexander Perov of Alpha. At least 30 commandos suffered serious wounds. The Chechen separatist leader Aslan Maskhadov immediately denied that his forces were involved in the siege, calling it "a blasphemy" for which "there is no justification". Maskhadov described the perpetrators of Beslan as "madmen" driven out of their senses by Russian acts of brutality. He condemned the action and all attacks against civilians via a statement issued by his envoy Akhmed Zakayev in London, blamed it on what he called a radical local group, and agreed to the North Ossetian proposition to act as a negotiator. Later, he also called on western governments to initiate peace talks between Russia and Chechnya and added to "categorically refute all accusations by the Russian government that President Maskhadov had any involvement in the Beslan event." Putin responded that he would not negotiate with "child-killers", comparing the calls for negotiations with the appeasement of Hitler, and put a $10 million bounty on Maskhadov (the same amount as put for Basayev). Maskhadov was killed by Russian commandos in Chechnya on 8 March 2005, and buried at an undisclosed location. Abu Zaid Al-Kuwaiti – Kuwaiti and accused organizer, who died in Ingushetia in February 2005. Presence of the following people at the school: Aleksander Dzasokhov (president of North Ossetia), Murat Zyazikov (president of Ingushetia), Ruslan Aushev (former president of Ingushetia), Leonid Roshal (a paediatrician). Alternatively, instead of Roshal and Aushev, the hostage-takers might have named Vladimir Rushailo and Alu Alkhanov (pro-Moscow President of Chechnya). We request the republic's president Dzasokhov, the president of Ingushetia Ziazikov, the children's doctor Rashailo for negotiations. If anyone of us is killed, we'll shoot 50 people. If anyone of us is wounded, we'll kill 20 people. If 5 of us are killed, we'll blow up everything. If the light, communication are cut off for a minute, we'll shoot 10 people. The telephone number according to pravdabeslana.ru; the federal committee reported 8–928–728–33–74. The hostage who was made to write the note misspelled doctor Roshal's name. From Allah's slave Shamil Basayev to President Putin. Vladimir Putin, it was not you who started this war. But you can finish it if you have enough courage and determination of de Gaulle. We offer you a sensible peace based on mutual benefit by the principle independence in exchange for security. In case of troops withdrawal and acknowledgement of independence of Chechen Republic of Ichkeria, we are obliged not to make any political, military, or economic treaties with anyone against Russia, not to accommodate foreign military bases on our territory even temporarily, not to support and not to finance groups or organizations carrying out a military struggle against RF, to be present in the united ruble zone, to enter CIS. Besides, we can sign a treaty even though a neutral state status is more acceptable to us. We can also guarantee a renunciation of armed struggle against RF by all Muslims of Russia for at least 10 to 15 years under condition of freedom of faith. We are not related to the apartment bombings in Moscow and Volgodonsk, but we can take responsibility for this in an acceptable way. The Chechen people is leading a nation-liberating struggle for its freedom and independence, for its self-protection rather than for destruction or humiliation of Russia. We offer you peace, but the choice is yours. The Kesayev Report (2005) estimated that about 50 rebel fighters took part in the siege, based on witness accounts and the number of weapons left at the scene. The Savelyev Report (September 2006) said there were from 58 to 76 hostage-takers, of which many managed to escape by slipping past the cordon around the school. The Torshin Report (December 2006) determined that 34 militants were involved, of which 32 entered the school and 31 died there, and says the two accomplices remain at large (one being Yunus Matsiyev, a bodyguard of Basayev). On 6 September 2004, the names and identities of seven of the assailants became known, after forensic work over the weekend and interviews with surviving hostages and a captured assailant. The forensic tests also established that 21 of the hostage-takers took heroin, Methamphetamine as well as morphine in a normally lethal amount; the investigation cited the use of drugs as a reason for the militants’ ability to continue fighting despite being badly wounded and presumably in great pain. In November 2004, Russian officials announced that 27 of the 32 hostage-takers had been identified. However, in September 2005, the lead prosecutor against Nur-Pashi Kulayev stated that only 22 of the 32 bodies of the captors had been identified, leading to further confusion over which identities have been confirmed. Iznaur Kodzoyev – An Ingush from Kantyshevo, Ingushetia, and father of five children. His cousin claimed he saw him in their home village on the second day of the siege. In August 2005 the Russian forces in Igushetia killed a man identified as Iznaur Kodzoyev, who they said was one of hostage-takers, despite the fact that his body was identified among these killed in Beslan. Kodzoyev had been also previously announced by the Russians to be killed months before the Beslan crisis. Aslangirey Beksultanovich Gatagazhev (29) – An Ingush from Sagopshi, Ingushetia. Sultan Kamurzoyev (27) – A Chechen from Kazakhstan. Other sources say he's from Nazran, Ingushetia, and that he was arrested as a rebel fighter in Chechnya in 2000. Islam Said-Aliyevich Shaybekhanov (20) – A Chechen from Engenoi who lived in Psedakh, Ingushetia. Bei-Alla Bashirovich[note 6] Tsechoyev (31) – An Ingush, had a prior conviction for possessing illegal firearms. Musa Isayevich Tsechoyev (35) – An Ingush. Native of Sagopshi, Ingushetia, he owned the truck that drove the insurgents to the school. Khaula Nazirova (45) – A woman from Grozny, whose husband had been tortured to death by Russian forces, and several relatives killed when Russian troops bombed a Chechen school. In May 2005, Kulayev was a defendant in a court in the republic of North Ossetia. He was charged with murder, terrorism, kidnapping, and other crimes and pleaded guilty on seven of the counts; many former hostages denounced the trial as a "smoke screen" and "farce". Some of the relatives of the victims, who used the trial in their attempts to accuse the authorities, even called for a pardon for Kulayev so he could speak freely about what happened. The director of the FSB, Nikolai Patrushev, was summoned to give evidence, but he did not attend the trial. Ten days later, on 26 May 2006, Nur-Pashi Kulayev was sentenced to life imprisonment. Kulayev later disappeared in the Russian prison system. Following questions about whether Kulayev had been killed or died in prison, Russian government officials said in 2007 that he was alive and awaiting the start of his sentence. Family members of the victims of the attacks have accused the security forces of incompetence, and have demanded that authorities be held accountable. Putin personally promised to the Mothers of Beslan group to hold an "objective investigation". On 26 December 2005, Russian prosecutors investigating the siege on the school declared that authorities had made no mistakes whatsoever. Three local policemen of the Pravoberezhny District ROVD (district militsiya unit) were the only officials put on trial over the massacre. They were charged with negligence in failing to stop gunmen seizing the school. On 30 May 2007, the Pravoberezhny Court's judge granted an amnesty to them. In response, a group of dozens of local women then rioted and ransacked the courtroom: smashing windows, overturning furniture, and tearing down a Russian flag. Victims' groups said the trial had been a whitewash designed to protect their superiors from blame. The victims of the siege said they would appeal against the court judgement. Critics also charged that the authorities did not organize the siege properly, including failing to keep the scene secure from entry by civilians, while the emergency services were not prepared during the 52 hours of the crisis. The Russian government has been also heavily criticized by many of the local people who, days and even months after the siege, did not know whether their children were alive or dead, as the hospitals were isolated from the outside world. Two months after the crisis, human remains and identity documents were found by a local driver, Muran Katsanov, in the garbage landfill at the outskirts of Beslan; the discovery prompted further outrage. In addition, there were serious accusations that federal officials had not earnestly tried to negotiate with the hostage-takers (including the alleged threat from Moscow to arrest President Dzasokhov if he came to negotiate) and deliberately provided incorrect and inconsistent reports of the situation to the media. The report by Yuri Savelyev, a dissenting parliamentary investigator and one of Russia's leading rocket scientists, placed the responsibility for the final massacre on actions of the Russian forces and the highest-placed officials in the federal government. Savelyev's 2006 report, devoting 280 pages to determining responsibility for the initial blast, concludes that the authorities decided to storm the school building, but wanted to create the impression they were acting in response to actions taken by the terrorists. [note 9] Savelyev, the only expert on the physics of combustion on the commission, accused Torshin of "deliberate falsification". Several hostage-takers, including one of the leaders, Vladimir Khodov, had been previously involved in terrorist activities, but released from government custody prior to the attack despite their high profiles. According to a publication in Novaya Gazeta, "the so-called Beslan terrorists were agents of our own special forces – UBOP [Center for Countering Extremism] and FSB." According to FSB defector Alexander Litvinenko, the Russian secret services must have been aware of the plot beforehand, and therefore they themselves must have organised the attack as a false flag operation. He said that the previously arrested terrorists only would have been freed if they were of use to the FSB, and that even in the case that they were freed without being turned into FSB assets, they would be under a strict surveillance regime that would not have allowed them to carry out the Beslan attack unnoticed. According to Mothers of Beslan and Ella Kesayeva, the hostage taking might have been an "inside job", citing the fact that the militants had planted weapons in the school prior to the incident. In September 2007, Taimuraz Chedzhemov, the lawyer representing the Mothers of Beslan, who was seeking to prosecute Russian officials over the massacre, said he had withdrawn from the case because of an anonymous death threat to his family. He said he believed the death threat was linked to a decision by the group he represented to name senior officials involved in the chaotic rescue operation whom they want put on trial. In general, the criticism was rejected by the Russian government. President Vladimir Putin specifically dismissed the foreign criticism as Cold War mentality and said that the West wants to "pull the strings so that Russia won't raise its head." Deputy Prosecutor General of Russia Nikolai Shepel, acting as deputy prosecutor at the trial of Kulayev, found no fault with the security forces in handling the siege, "According to the conclusions of the investigation, the expert commission did not find any violations that could be responsible for the harmful consequences." Shepel acknowledged that commandos fired flamethrowers, but said this could not have sparked the fire that caused most of the deaths; he also said that the troops did not use napalm during the attack. Five Ossetian and Ingush police officers were tried in the local courts; all of them were subsequently amnestied or acquitted in 2007. As of December 2009, none of the Russian federal officials suffered consequences in connection with the Beslan events. Nur-Pashi Kulayev claimed that attacking a school and targeting mothers and young children was not merely coincidental, but was deliberately designed for maximum outrage with the purpose of igniting a wider war in the Caucasus. According to Kulayev, the attackers hoped that the mostly Orthodox Ossetians would attack their mostly Muslim Ingush and Chechen neighbours to seek revenge, encouraging ethnic and religious hatred and strife throughout the North Caucasus. North Ossetia and Ingushetia had previously been involved in a brief but bloody conflict in 1992 over disputed land in the North Ossetian Prigorodny District, leaving up to 1,000 dead and some 40,000 to 60,000 displaced persons, mostly Ingush. Indeed, shortly after the Beslan massacre, 3,000 people demonstrated in Vladikavkaz calling for revenge against the ethnic Ingush. The attack at Beslan was met with international abhorrence and universal condemnation. Countries and charities around the world donated to funds set up to assist the families and children that were involved in the Beslan crisis. At the end of 2004, the International Foundation For Terror Act Victims had raised over $1.2 million with a goal of $10 million. The Israeli government offered help in rehabilitating freed hostages, and during Russian Prime Minister Mikhail Fradkov's visit to China in November 2005, the Chinese Health Ministry announced that they were sending doctors to Beslan, and offered free medical care to any of the victims who still needed treatment. The then mayor of Croatia's capital Zagreb, Vlasta Pavić, offered free vacations to the Adriatic Sea to the Beslan children. Maria Sharapova and many other female Russian tennis players wore black ribbons during the US Open 2004 in memory of the tragedy. In August 2005, two new schools were built in Beslan, paid for by the Moscow government. Children of Beslan (2005), a HBO Documentary Films and BBC co-production, produced and directed by Ewa Ewart and Leslie Woodhead, nominated in three different categories under the 2006 Emmy Award festival, and awarded the Royal Television Society prize in the category Best Single Documentary. It also won a Peabody Award in 2005. Return to Beslan (Terug naar Beslan) (2005) A Dutch documentary produced by Netherlands Public Broadcasting, won an Emmy Award in 2005 for "Best Continuing News Coverage"
Beslan (in development), a feature film to be produced by Brian Grazer of Imagine Entertainment. The Unit episode "In Loco Parentis" portrays a hostage situation in a Virginia school perpetrated by Chechen terrorists. The Beslan massacre is referenced. House of Meetings, by Martin Amis, references this massacre several times, in part to show how deeply skeptical Russian citizens were of government-disseminated information. Innocent Targets: When Terrorism Comes to School is a school terrorism textbook that features a chapter dedicated to the incident as well as several other chapters devoted to commentary on the topic in general. Us/Them - ("Wij/Zij") is a production by BRONKS Theatre for a Young Audience first performed in 2015, written and directed by Carly Wijs, which presents a physical storytelling of the crisis from the point of view of two of the students. Peshawar Army High School crises – A similar attack that took place in Peshawar, Khyber Pakhtunkhwa, Pakistan in 2014. ↑ Not to be confused with the head of the Beslan administration in 2004, also named Vladimir Khodov. ↑ These allegations are discussed in more detail elsewhere in this article. ↑ After the crisis, Dzugayev was promoted and a made minister for culture and mass communications of the republic. ↑ President Zyazikov of Ingushetia was forced to resign in 2008 but for unrelated reasons: the death of oppositionist journalist Magomed Yevloyev, who was shot in police detention. 1 2 3 The Beslan Aftermath: New Papers Critical of Russian Security Forces, Der Spiegel, 4 July 2005. ↑ Beslan mothers' futile quest for relief, BBC News, 4 June 2005. ↑ Beslan School Massacre One Year Later Archived 13 October 2008 at the Wayback Machine., U.S. Department of State, 31 August 2005 Archived 13 October 2008 at the Wayback Machine. 1 2 3 Putin's legacy is a massacre, say the mothers of Beslan, The Independent, 26 February 2008. 1 2 3 4 5 6 7 8 9 The Truth About Beslan. What Putin's government is covering up., by David Satter, The Weekly Standard, 13 November 2006, Volume 012, Issue 09. 1 2 "Woman injured in 2004 Russian siege dies". The Boston Globe. 8 December 2006. Archived from the original on 17 October 2007. Retrieved 9 January 2007. ↑ "Putin meets angry Beslan mothers". BBC News. 2 September 2005. Retrieved 28 July 2006. 1 2 3 Chechnya Vow Cast a Long Shadow The Moscow Times, 26 February 2008. 1 2 Russia 'impeded media' in Beslan, BBC News, 16 September 2004. 1 2 3 4 5 6 7 8 9 10 11 12 13 14 ACHING TO KNOW, Los Angeles Times, 27 August 2005. ↑ Beslan's unanswered questions Archived index at the Wayback Machine., International Herald Tribune, 30 May 2006. 1 2 3 4 Beslan siege still a mystery, BBC News, 2 September 2005. ↑ One year later, Beslan's school tragedy still haunts, The Boston Globe, 2 September 2005. 1 2 3 Insurgents seize school in Russia and hold scores, The New York Times, 2 September 2004. 1 2 3 4 5 6 7 8 9 10 When hell came calling at Beslan's School No 1, The Guardian, 5 September 2004. ↑ [http://www.jamestown.org/programs/chinabrief/single/?tx_ttnews[tt_news]=30567&tx_ttnews[backPid]=195&no_cache=1 Kulaev trial further erodes official version of Beslan], The Jamestown Foundation, 22 June 2005. 1 2 Beslan still a raw nerve for Russia, BBC News, 1 September 2006. 1 2 3 4 5 6 7 8 The 2002 Dubrovka and 2004 Beslan Hostage Crises: A Critique of Russian Counter-Terrorism, Prospect Magazine, July 2006. ↑ "2004 Getting Back Home? Towards Sustainable Return of Ingush Forced Migrants and Lasting Peace in Prigorodny District of North Ossetia". Retrieved 7 November 2014. ↑ Russia struggles to keep grip in Caucasus, Christian Science Monitor, 13 September 2005. ↑ Terror lingers in Russia's Caucasus region, Chicago Tribune, 12 October 2004. ↑ "Frontal and Army Aviation in the Chechen Conflict". Retrieved 7 November 2014. ↑ "Mr. John and the Day of Knowledge". Peace Corps. Archived from the original on 3 October 2006. Retrieved 27 March 2007. 1 2 [http://www.jamestown.org/programs/nca/single/?tx_ttnews[tt_news]=2032&tx_ttnews[backPid]=186&no_cache=1 Officials evade responsibility as death toll remains in doubt], The Jamestown Foundation, 6 October 2004. 1 2 Storm Warnings // Relatives of the Hostages Swear They Won’t Let the Special Forces into the School, Kommersant, 3 September 2004. 1 2 Our Native Wiesenthal, The Moscow Times, 9 January 2008. 1 2 "One little boy was shouting: 'Mama!' She couldn't hear him. She was dead". The Daily Telegraph. London. 5 September 2004. Archived from the original on 21 July 2006. Retrieved 28 July 2006. ↑ Attackers storm Russian school, BBC News, 1 September 2004. ↑ How Beslan is coping one year on, The Independent, 10 September 2007. 1 2 Prosecutors clear authorities in Russian school siege, USA Today, 27 December 2005. 1 2 "Beslan Children Testify". St. Petersburg Times. 26 August 2005. Archived from the original on 19 May 2006. Retrieved 28 July 2006. 1 2 3 4 "The School". CJ. Chivers, Esquire. June 2006. Retrieved 29 July 2006. ↑ Russians are Coming, Kommersant, 9 September 2004. 1 2 "Government snipers triggered Beslan bloodbath, court told". CBC News. 1 June 2005. Retrieved 14 February 2007. 1 2 3 New Video Of Beslan School Terror Archived 15 July 2006 at the Wayback Machine., CBS, 21 January 2005. ↑ School Is Symbol of Death for Haunted Children of Beslan, The Washington Post, 28 August 2005. ↑ "The insurgents, who have taken a school in Beslan, have shot fifteen hostages" (in Russian). YTRU. 2 September 2004. Retrieved 13 August 2006. 1 2 "Killers Set Terms, a Mother Chooses". Los Angeles Times/Pulitzer Prize. 3 September 2004. Archived from the original on 25 September 2006. Retrieved 28 July 2006. ↑ Hostages murder detailed report, Caucasus Times, 2 September 2004. ↑ "Бывший заложник Беслана рассказал NEWSru.com, что уже после штурма пропали живые дети". NEWSru.com (in Russian). 17 September 2004. Retrieved 14 February 2007. 1 2 3 4 5 6 7 8 Defenseless Targets, TIME, 5 September 2004. 1 2 3 4 5 6 For Russians, Wounds Linger in School Siege, The New York Times, 26 August 2005. ↑ The Beslan Massacre: `Accidental' bomb blast was trigger for, Independent on Sunday, 5 September 2004. 1 2 3 Communication Breakdown, TIME, 12 September 2004. 1 2 "Beslan terrorists confused Roshal with Rushailo". Russian Information Network. 7 October 2005. Retrieved 14 February 2007. ↑ "Security Council, in presidential statement, condemns hostage-taking". United Nations. 1 September 2002. Retrieved 14 February 2007. ↑ Talks begin in school siege drama, BBC News, 2 September 2004. ↑ Report: Beslan HQ Was Run by Others Archived 29 August 2007 at the Wayback Machine., St. Petersburg Times, 19 April 2005. ↑ "Lies provoked terrorists' aggression". Novaya Gazeta (in Russian). 6 September 2004. Retrieved 11 April 2015. ↑ "Vladimir Khodov: Where were the Arabs from? Where were the blacks from? And this number – 354 hostages...". Novaya Gazeta (in Russian). 18 October 2004. Retrieved 11 April 2015. 1 2 3 Putin's Silence on Crisis Underscores Chilling Trend, The Washington Post, 4 September 2004. 1 2 Russia: Recounting The Beslan Hostage Siege – A Chronology, Radio Free Europe/Radio Liberty, 9 September 2004. ↑ "New Video Of Beslan School Terror". CBS News. 21 January 2005. Archived from the original on 15 July 2006. Retrieved 29 July 2006. 1 2 3 Beslan mothers tell Putin: stay away, The Times, 28 August 2005. ↑ "Boy in Hostage Videotape Recounts How He Survived the Beslan Ordeal". St. Petersburg Times. 14 September 2004. Archived from the original on 28 September 2007. Retrieved 29 July 2006. ↑ "Timeline: Russian school siege". BBC News. 3 September 2004. Retrieved 29 July 2006. 1 2 3 MARK MacKINNON uncovers the true story of the gruesome hostage-taking at Beslan., The Globe and Mail, 11 September 2004. ↑ "Drug addiction among the Beslan terrorists". Pravda Online. 19 November 2004. Retrieved 29 July 2006. ↑ Osborn, Andrew (18 October 2004). "Beslan hostage-takers 'were on drugs'". The Independent. London. Archived from the original on 16 December 2008. Retrieved 2007-02-14. ↑ Zakayev Was Asked to Assist in Negotiations at the School Archived 27 March 2007 at the Wayback Machine., The Moscow Times, 6 September 2004. ↑ [http://www.jamestown.org/programs/nca/single/?tx_ttnews[tt_news]=3112&tx_ttnews[backPid]=188&no_cache=1 New details emerge on Maskhadov's bid to mediate in Beslan], The Jamestown Foundation, 6 January 2006. 1 2 3 4 5 [http://www.jamestown.org/programs/nca/single/?tx_ttnews[tt_news]=2865&tx_ttnews[backPid]=187&no_cache=1 Documents suggest the feds were in charge in Beslan], The Jamestown Foundation, 20 April 2005. 1 2 Who Should We Kill Now, Zarema?, Kommersant, 24 December 2005. 1 2 3 Critics Detail Missteps in School Crisis, The New York Times, 17 September 2004. ↑ Yelena Milashina (2014-09-01). "Беслан. 10 лет после теракта". Novaya Gazeta. Retrieved July 2, 2015. ↑ "Russian forces faulted in Beslan school tragedy". Christian Science Monitor. 1 September 2006. Retrieved 14 February 2007. ↑ Russia: Independent Beslan Investigation Sparks Controversy, The Jamestown Foundation, 29 August 2006. ↑ "Grenades 'caused Beslan tragedy'". BBC News. 29 August 2006. Retrieved 14 February 2007. 1 2 "Beslan school siege inquiry 'a cover-up'". Sunday Herald. Archived from the original on 30 September 2007. Retrieved 14 February 2007. 1 2 3 4 5 6 7 8 9 10 Russia: Beslan Reports Compared, The Jamestown Foundation, 3 January 2007. 1 2 Hostage Takers in Russia Argued Before Explosion, The Washington Post, 7 September 2004. ↑ Basketball Bomb Sparked Beslan Battle Archived 29 September 2007 at the Wayback Machine., The Moscow Times, 7 September 2004. 1 2 Civilians 'began siege shooting', BBC News, 7 September 2004. 1 2 After School Siege, Russia Also Mourns Secret Heroes, The New York Times, 13 September 2004. 1 2 3 4 5 Who's To Blame for Beslan?, Slate, 22 July 2005. ↑ Russian Report Faults Rescue Efforts in Beslan, The New York Times, 29 November 2005. ↑ Kesayev Report Points a Finger in Beslan Archived 17 August 2007 at the Wayback Machine., The St. Petersburg Times, 9 December 2005. 1 2 Chivers, C. J. (23 December 2006). "Questions Linger as Kremlin Reports on '04 School Siege". The New York Times. Retrieved 14 February 2007. 1 2 "The Whole World Is Crying", TIME, 12 September 2004. 1 2 Russian military, politicians handled Beslan siege poorly: inquiry head, CBC News, 28 June 2005. ↑ Top officials blamed for Beslan, BBC News, 22 December 2004. ↑ Beslan Rescue Lacked Direction, Says Ex-FSB Head, Radio Free Europe/Radio Liberty, 16 December 2005. 1 2 3 4 5 Flame-throwers used at Beslan siege, The Independent, 24 October 2004. 1 2 "Soldiers fled, special forces borrowed bullets at siege end". The Sydney Morning Herald. 12 September 2004. Retrieved 2007-02-14. ↑ "Russia: Rumors, Theories Still Swirl Around Beslan Tragedy". Radio Free Europe/Radio Liberty. 26 October 2004. Retrieved 14 February 2007. ↑ Searching for Traces of "Shmel" in Beslan School, Kommersant, 12 September 2005. 1 2 A Reversal Over Beslan Only Fuels Speculation, The Moscow Times, 21 July 2005. ↑ Tanks that fired in Beslan were under FSB command, The Jamestown Foundation, 23 November 2005. ↑ 'Mondrage' in Beslan: Inside the School Siege, National Public Radio, 31 August 2006. ↑ [http://www.jamestown.org/programs/nca/single/?tx_ttnews[tt_news]=2929&tx_ttnews[backPid]=187&no_cache=1 KULAEV TRIAL PROVIDES NEW BESLAN DETAILS], The Jamestown Foundation (North Caucasus Weekly), 16 June 2005. 1 2 3 4 The Aftermath of Beslan Archived 26 October 2008 at the Wayback Machine., Hudson Institute, 15 November 2006. ↑ What happened in Beslan?, BBC News, 10 September 2004. ↑ Kesayev, S. Хронология террористического акта в СОШ № 1 г. Беслана Республики Северная Осетия-Алания (in Russian). PravdaBeslana.ru. Retrieved 29 July 2006. ↑ Beslan Militant Calms Down Victims, Kommersant, 17 August 2005. ↑ Beslan residents lynch disguised terrorist, Pravda, 10 September 2004. 1 2 3 4 5 Timeline: the Beslan school siege, The Guardian, 6 September 2004. ↑ More Than 200 Bodies Recovered From Russian School Archived 20 May 2011 at the Wayback Machine., San Diego News, 3 September 2004. ↑ Beslan's Hospital Shocked Doctors and Putin Archived 23 December 2007 at the Wayback Machine., The Moscow Times, 20 December 2007. ↑ Triggle, Nick (6 September 2004). "The strain on Russia's health service". BBC News. Retrieved 2006-07-29. 1 2 3 4 5 6 Miklós Haraszti (16 September 2004). "Report on Russian media coverage of the Beslan tragedy: Access to information and journalists' working conditions" (PDF). Organization for Security and Co-operation in Europe. ↑ "120 funerals in one day for Russian town". CBS News. 6 September 2004. Archived from the original on 21 March 2006. Retrieved 2006-07-29. 1 2 3 Frantic search for missing as Beslan begins to bury its dead, The Guardian, 6 September 2004. ↑ "Psychiatrists struggle for a life of former hostages". 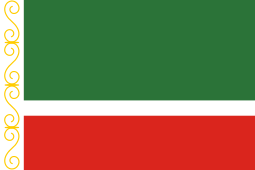 Kommersant (in Russian). 10 September 2004. Retrieved 2006-07-29. ↑ Putin overture angers Beslan mothers, The Times, 30 August 2005. ↑ Inside the horror of Russia's Beslan school, The Age, 9 September 2004. 1 2 3 4 Russia: Putin Rejects Open Inquiry Into Beslan Tragedy As Critical Voices Mount, Radio Free Europe/Radio Liberty, 7 September 2004. ↑ 10,000 rounded up in Moscow terrorist hunt, The Daily Telegraph, 23 September 2004. ↑ Милиционеры избили космонавта за "чеченскую" фамилию (in Russian). 10 September 2004. Retrieved 11 April 2015. ↑ "How to end terrorism in Russia?" (in Russian). 16 September 2004. ↑ The Beslan Massacre Archived 14 August 2008 at the Wayback Machine. ↑ Russian Duma backs Putin reforms, BBC News, 29 October 2004. 1 2 3 A Deafening Silence, The Moscow Times, 12 October 2007. ↑ After Beslan, the Media in Shackles 4 September 2006. ↑ Fuller, Liz. "Are Ingushetia, North Ossetia on the Verge of New Hostilities? ", Radio Free Europe/Radio Liberty, 28 March 2006. ↑ Fred Weir, "Russia Struggles to Keep Its Grip on the Caucasus", Christian Science Monitor, 13 September 2005. ↑ Alan Tskhurbayev and Valery Dzutsev, 'Fear and Tension in Siege Town', IWPR Caucasus Reporting Service, 2 September 2004. ↑ Pape, Robert A.; O'Rourke, Lindsey; McDermit, Jenna (31 March 2010). "What Makes Chechen Women So Dangerous?". The New York Times. Retrieved 26 April 2010. ↑ Beslan Women Demand Justice, The Other Russia, 8 November 2007. ↑ Under a 'Crying' Sky, Beslan's Dead Are Laid to Rest, The Washington Post, 7 September 2004. 1 2 3 4 5 Russian Domestic Policy: July–September 2004, British Defence Academy Archived 8 April 2008 at the Wayback Machine. 1 2 "Full list of victims of Beslan in Moscow hospitals (Word doc)" (DOC). 23 September 2004. Retrieved 2006-07-29. ↑ "Latest Follow Up on Beslan Children". PR Web. 7 October 2004. Retrieved 2006-07-29. ↑ "Children in the Russian Federation (Word Doc)" (DOC). UNICEF. 16 November 2004. Retrieved 2006-07-29. ↑ "One year after siege, Beslan's children still need help". UNICEF. September 2005. Retrieved 2006-07-29. ↑ Monument to special forces and rescuers unveiled in Beslan, NEWS.rin.ru, 2 September 2006. ↑ "Beslan's tragic end: Spontaneous or planned?". 18 October 2004. Retrieved 2006-09-16. ↑ На этом этапе мы должны быть бдительны (in Russian). Radio Mayak. 8 September 2004. Archived from the original on 6 January 2009. Retrieved 11 April 2015. ↑ Russia: On Beslan, Putin Looks Beyond Chechnya, Sees International Terror, Radio Free Europe/Radio Liberty, 7 September 2004. 1 2 "Putin: Western governments soft on terror". American Foreign Policy Council. 17 September 2004. Archived from the original on 19 November 2005. Retrieved 2006-07-29. ↑ "Chechen 'claims Beslan attack'". CNN. 17 September 2004. Retrieved 2006-07-29. 1 2 3 Excerpts: Basayev claims Beslan, BBC News, 17 September 2004. ↑ We're going to do it again, says man behind Beslan bloodbath The Times, 3 February 2005. ↑ No Terrorist Acts in Russia Since Beslan: Whom to Thank?, The Jamestown Foundation, 24 May 2007. ↑ Beslan massacre chief promoted The Independent, 27 August 2005. ↑ Obituary: Aslan Maskhadov, BBC News, 8 March 2005. ↑ VOA News report, Globalsecurity.org, 14 September 2004. ↑ Chechen envoy warns of bloodshed, BBC News, 14 September 2004. ↑ Putin's Chechnya options narrow, The Christian Science Monitor, 29 September 2004. ↑ Chechen leader Maskhadov killed, BBC News, 8 March 2005. ↑ Russia buries Maskhadov in secret, BBC News, 22 April 2005. ↑ "Beslan militants 'called Middle East'". The Guardian. London. 27 September 2004. Retrieved 2006-07-29. ↑ Burke, Jason (3 October 2004). "London mosque link to Beslan". The Guardian. Retrieved 2006-07-29. ↑ "Names of the Arabian attackers in Beslan released" (in Russian). 4 October 2004. Retrieved 2006-07-28. ↑ Abu Omar reportedly killed, Jamestown Foundation, 15 December 2005. ↑ Two Arrested in Russia for School Hostage Situation, EliteTV.com, November 2004. ↑ Girl suspected of links with Beslan terrorists released, Prague Watchdog, 2 December 2004. ↑ "Interview with hostage ER doctor from SNO". Novaya Gazeta (in Russian). 29 November 2004. Retrieved 2006-07-29. ↑ "Full text and copies of notes sent by terrorists" (in Russian). pravdabeslana.ru. 29 November 2004. Retrieved 2006-07-29. ↑ Beslan hostage-takers were allowed to flee, soldier says, The Independent, 9 November 2004. ↑ When hell came calling at Beslan's School No 1, The Guardian, 5 September 2004. 1 2 Confusion Surrounds Beslan Band, Institute for War and Peace Reporting, 23 September 2004. ↑ "Federal commission delivers report on Beslan". Memorial. 28 December 2005. Archived from the original on 13 May 2006. Retrieved 2006-07-29. ↑ "Russian Prosecutor Says International Terrorists Planned Beslan". Mosnews. 12 September 2004. ↑ Beslan judge reads witness testimony on third day of trial Archived 18 October 2007 at the Wayback Machine., 18 May 2006. ↑ The Investigation is Hitting it on the Head, Kommersant, 16 September 2004. ↑ Beslan militant 'lived to kill again', The Guardian, 26 May 2006. 1 2 Dispatches, Beslan, Channel 4 documentary, 2005. ↑ Beslan’s Main Terrorist Finally Caught, The Moscow Times, 16 June 2010. ↑ Basayev makes major statement, Memorial, 30 August 2005. ↑ Special services believe the terrorists had an accomplice in Beslan, Pravda, 06.09.2004. ↑ State of Siege: The terror of daily life in Beslan Archived 18 October 2007 at the Wayback Machine., The Village Voice, 5 August 2005. ↑ Our children suffered too, say families of the killers, by Sebastian Smith, The Times, 2 September 2005. ↑ (Russian) Опубликованы фотографии террористов, захвативших школу в Беслане Archived 27 July 2011 at the Wayback Machine. ↑ (Russian) О работе Парламентской комиссии (материалы средств массовой информации) Archived 25 May 2011 at the Wayback Machine., Security Council of Russia, November 2005. 1 2 3 4 5 6 7 8 9 10 11 (Russian) В распоряжении «Новой» — прижизненные фотографии бесланских террористов. Публикуются впервые, Novaya Gazeta, 2005. 1 2 "Algerian-born UK man linked to Beslan attack". Russian and Eurasian Security Network. 4 October 2004. Retrieved 2006-07-29. ↑ School hostage-takers released from prison, Russia Journal, 7 September 2004. 1 2 3 Terror at Beslan: A Chronicle of On-going Tragedy and a Government’s Failed Response Archived 8 April 2008 at the Wayback Machine., Ridgway.Pitt.edu, 12 March 2007 Archived 8 April 2008 at the Wayback Machine. ↑ Beslan rogues gallery published, BBC News, 15 September 2004. ↑ "Girl, 16, Held in Beslan Investigation". The Moscow Times. Archived from the original on 11 November 2005. Retrieved 2006-07-29. ↑ Basaev Directed the Seizure by Phone, Kommersant, 7 September 2004. ↑ Tracing a tragedy, The Guardian, 30 September 2004. ↑ Mir, "'Black Widows: Behind Beslan Tragedy"
↑ Ingush ex-cop reportedly among hostage-takers, The Jamestown Foundation, 8 September 2004. ↑ "Victims of Beslan hostage crisis demand death penalty to the only arrested terrorist". pravda.ru. 18 May 2006. Retrieved 2006-07-29. ↑ "Beslan attacker jailed for life". BBC News. 26 May 2006. Retrieved 2006-07-29. ↑ Head of Beslan commission to check information on Kulaev's death, Memorial, 5 January 2007. ↑ <correction or explanation needed - how could he be "awaiting the start of his sentence" in 2007 if he was sentenced in 2006?> FPES refutes information on Kulaev's death, Memorial, 6 January 2007. ↑ "'No mistakes', Beslan report says". BBC News. 26 December 2005. Retrieved 2006-07-29. ↑ "Putin does not see a link between Chechnya and Beslan". Nezavisimaya Gazeta, cited by kremlin.ru. 8 September 2004. Archived from the original on 18 October 2007. Retrieved 2007-02-20. ↑ Angry Putin rejects public Beslan inquiry, The Guardian, 7 September 2004. ↑ "Foreign intelligence involved in Beslan school capture". Interfax, cited by NEWSru. 27 November 2004. Retrieved 2007-02-20. 1 2 Beefed-up security could have prevented Beslan siege, probe head says, CBC News, 28 December 2005. ↑ Rebels blamed for Beslan deaths, BBC News, 22 December 2006. ↑ FSB flamethrowers caused no fire at Beslan school, RIA Novosti, 28 December 2005. ↑ Hundreds still missing in Beslan, BBC News, 21 September 2004. ↑ Amnesty granted to Beslan siege police, Reuters, 29 May 2007. ↑ Amnesty act applied to Beslan militiamen will be appealed against, Memorial, 30 May 2007. 1 2 Beslan Mothers Sue in Strasbourg Archived 11 September 2007 at the Wayback Machine., The Moscow Times, 29 June 2007. ↑ Supreme Court upholds acquittal of Ingush militiamen on Beslan events, Caucasian Knot, 6/3/2008. 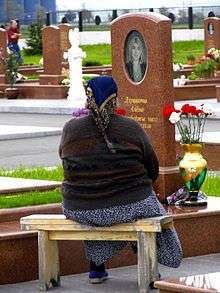 ↑ Beslan Mothers Stay In Court All Night, The Moscow Times, 4 May 2007. 1 2 Putin's media censorship, The Telegraph, 7 September 2004. ↑ Smith, David (5 September 2004). "EU doubts shatter unity". The Guardian. London. Retrieved 2006-07-31. ↑ Beslan Residents Say Forces Used Grenades, The Moscow Times, 6 April 2005. 1 2 Beslan moms blame Putin, face charges, Chicago Tribune, 18 January 2008. ↑ How The School Was Stormed, Novaya Gazeta, 7 October 2004. ↑ Beslan victims talk to Kulayev, Memorial, 7 July 2005. 1 2 Terrorist leader laughs in chilling Beslan video, The Telegraph, 23 January 2005. ↑ North Ossetia: Quit While You're Behind, Institute for War and Peace Reporting, 9 June 2005. ↑ So Much for Glasnost, Slate, 28 December 2005. ↑ Too Many Exceptions to Be a Rule Archived 27 December 2008 at the Wayback Machine., The St. Petersburg Times, 29 December 2006. ↑ Police Under Fire for Beslan, The Moscow Times, 20 June 2007. ↑ Victims of Beslan siege found in a rubbish dump, The Times, 26 February 2005. ↑ New remains discovered in Beslan: Incompetence or crime?, The Jamestown Foundation, 4 March 2005. ↑ Russian's Links to Iran Offer a Case Study in Arms Leak, The New York Times, 10 May 2000. 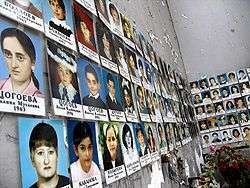 ↑ Relatives Of Beslan Victims Apply To European Court, Radio Free Europe/Radio Liberty, 26 June 2007. ↑ Backslash in Beslan, The Independent, 31 January 2005. 1 2 Beslan siege investigation chief points finger, The Independent, 29 December 2005. ↑ On Anna Politkovskaya falling into a coma, Novaya Gazeta, 4 September 2004. ↑ Was former KGB agent murdered over false-flag terrorism in Russia?, The Raw Story, 26 November 2006. ↑ "The Current for Show September 8, 2004". CBC Radio One. 8 September 2004. Archived from the original on 5 May 2007. Retrieved 14 February 2007. ↑ Izvestia, 4 September 2004; "p. 1" (PDF). Archived from the original (PDF) on 18 March 2009. Retrieved 1 November 2016. , "p. 2" (PDF). Archived from the original (PDF) on 18 March 2009. Retrieved 1 November 2016. , "p. 3" (PDF). Archived from the original (PDF) on 18 March 2009. Retrieved 1 November 2016. , "p. 4" (PDF). Archived from the original (PDF) on 18 March 2009. Retrieved 1 November 2016. , "p. 5" (PDF). Archived from the original (PDF) on 18 March 2009. Retrieved 1 November 2016. , "p. 6" (PDF). Archived from the original (PDF) on 18 March 2009. Retrieved 1 November 2016. , "p. 7" (PDF). Archived from the original (PDF) on 18 March 2009. Retrieved 1 November 2016. , "p. 8" (PDF). Archived from the original (PDF) on 18 March 2009. Retrieved 1 November 2016. , "p. 9" (PDF). Archived from the original (PDF) on 18 March 2009. Retrieved 1 November 2016. , "p. 10" (PDF). Archived from the original (PDF) on 18 March 2009. Retrieved 1 November 2016. , "p. 11" (PDF). Archived from the original (PDF) on 18 March 2009. Retrieved 1 November 2016. , "p. 12" (PDF). Archived from the original (PDF) on 18 March 2009. Retrieved 1 November 2016. ↑ Report: 16 Killed in Russian School Standoff Fox News, 2 September 2004. ↑ Russian TV shows school siege terror, BBC News, 8 September 2004. ↑ "Beslan Mothers" ask FSB to declassify video and audio archives on Beslan, Memorial, 27 July 2007. ↑ No answer from FSB to request of "Beslan Mothers" to declassify the video archive of the tragedy, Caucasian Knot, 14 August 2007. ↑ Beslan Mothers Say New Video Refutes Official Version, Radio Free Europe/Radio Liberty, 30 July 2007. ↑ Video Reopens Debate Over Beslan Attack, The Guardian, 31 July 2007. ↑ [Beslan Mothers Release a Film Beslan Mothers Release a Film], The Moscow Times, 4 September 2007. ↑ Beslan mothers claim truth of siege covered up, ABC, 29 July 2007. ↑ Terrorists or Agents? Strange facts about the Beslan tragedy Archived 6 April 2010 at WebCite, Novaya Gazeta, 20 October 2008. ↑ A. Litvinenko: "The identities of the terrorists prove 100% the participation of the FSB in the seizure of the school in Beslan", Chechenpress, 8 September 2004. ↑ Beslan mothers: Putin is culpable, Christian Science Monitor, 29 August 2007. ↑ Beslan lawyer drops probe after death threat, The Telegraph, 22 April 2013. ↑ Video reopens debate over Beslan attack, Associated Press, 31 July 2007. ↑ Probe clears handling of Beslan siege, The Independent, 28 December 2005. ↑ "Putin agrees to public inquiry into Beslan siege". CBC News. 10 September 2004. Archived from the original on 18 October 2007. Retrieved 2006-07-31. ↑ Beslan siege: The blame Archived 2 January 2006 at the Wayback Machine., International Herald Tribune, 29 December 2005. ↑ Finn, Peter (29 December 2005). "New Report Puts Blame on Local Officials In Beslan Siege". Washington Post. Retrieved 2006-07-31. ↑ Russian army cleared over Beslan, BBC News, 20 October 2005. ↑ "Putin: 'An attack on our country'". CNN. 4 September 2004. Retrieved 2006-07-31. ↑ Hostage town buries its children BBC News, 5 September 2004. ↑ "Ex-North Ossetian law-enforcer describes endemic corruption". The Jamestown Foundation. 13 September 2004. Archived from the original on 18 July 2006. Retrieved 2006-07-29. ↑ Beslan mothers trust Putin, demand Dzasakhov's head, The Jamestown Foundation, 24 February 2005. ↑ Shermatova, Sanobar (15 October 2004). "Basayev knew there to hit". Moskovskiye Novosti N39 (in Russian). Archived from the original on 18 October 2007. Retrieved 2007-09-11. ↑ Armed Clashes Between Federal Military Servicemen and Personnel of Republican Security Agencies, Memorial, January 2005. ↑ Federal Official suggests Ingush abductions are revenge for Beslan, Radio Free Europe/Radio Liberty, 17 July 2007. ↑ High-ranking security officer killed in Ingushetia Archived 27 January 2008 at the Wayback Machine., ITAR-TASS, 18 September 2007. ↑ "Cult Leader Takes Heat Off Kremlin". The Moscow Times. 28 September 2005. Archived from the original on 2006-01-01. ↑ Beslan siege group says faces trial over campaign, Reuters, 10 January 2008. ↑ Beslan siege support group charged with extremism, ABC, 13 March 2008. ↑ Another case initiated against "Voice of Beslan", Caucasian Knot, 25 February 2008. 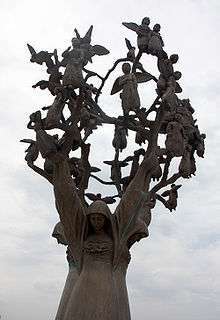 ↑ Beslan memorial sparks religious tension in North Ossetia, The Jamestown Foundation, 12 April 2007. ↑ Beslan residents are against erection of a temple in the place of the tragedy, Memorial, 17 May 2007. ↑ "Frequently Asked Questions". International Foundation for Terror Act Victims. Retrieved 2015-05-23. ↑ "China To Offer Treatment To Beslan Survivors". Radio Free Europe. November 4, 2005. Retrieved 2006-07-29. ↑ Beslan one year on: UNICEF Calls On Adults to Shield Children from Conflict, UNICEF, 1 September 2005. ↑ Memories haunt new Beslan schools, BBC News, 18 August 2005. ↑ Hollywood to film Beslan tragedy, BBC News, 18 May 2006. ↑ "The Who-Black Widow's Eyes liner notes". Retrieved 7 November 2014. Wikimedia Commons has media related to Beslan school hostage crisis. Les archives de Beslan : Database of French and foreign archives devoted to the hostage-taking of School No. 1 in Beslan. "Tragedy in Beslan. Five years later. We remember…." EMERCOM. "Beslan school tragedy." Directory of related articles from The Guardian. The School. Feature by C.J. Chivers. Esquire, June 2006, Volume 145, Issue 6. Last Retrieved 16 November 2009. Aching to Know, by Kim Murphy, Los Angeles Times, 27 August 2005. Pravda Beslana, public investigation of Beslan events (Beslan's Truth, Russian: Правда Беслана). Day-by-day transcriptions from criminal trial (Russian), . machine translation. Last Retrieved 17 July 2006. (French) French humanitarian association "Solidarité Enfants de Beslan"
In pictures. The Beslan School Siege, The Guardian, September 2004. "Missing hostages' photos", Novye Izvestia. Machine-translated by www.online-translator.com. Pictures of children, teachers and parents who were killed during the event at the Voice of Beslan website. Fund for victims of Beslan attack. Last accessed August 1, 2006. Russian Red Cross Beslan page. Last accessed August 1, 2006. Slavic Gospel Association (SGA) Beslan page. Last accessed February 4, 2008.